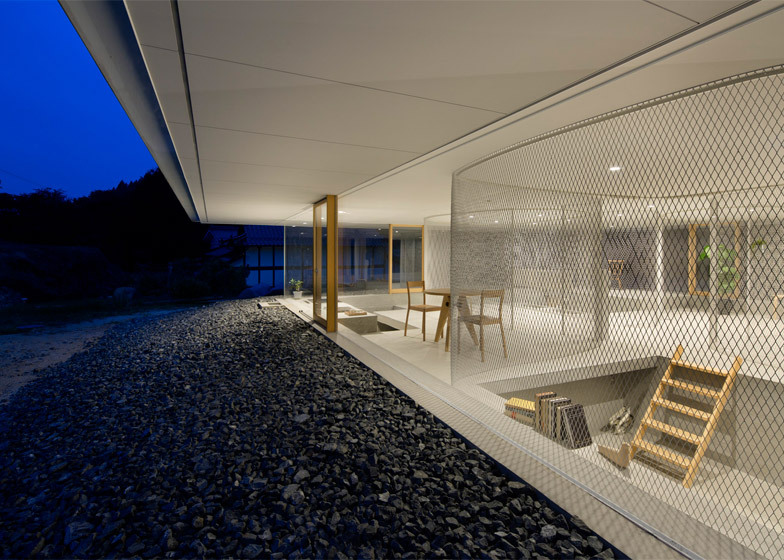 This rural Japanese house by Suppose Design Office features sunken rooms and see-through walls, designed to allow residents to observe and interact with wild animals (+ slideshow). 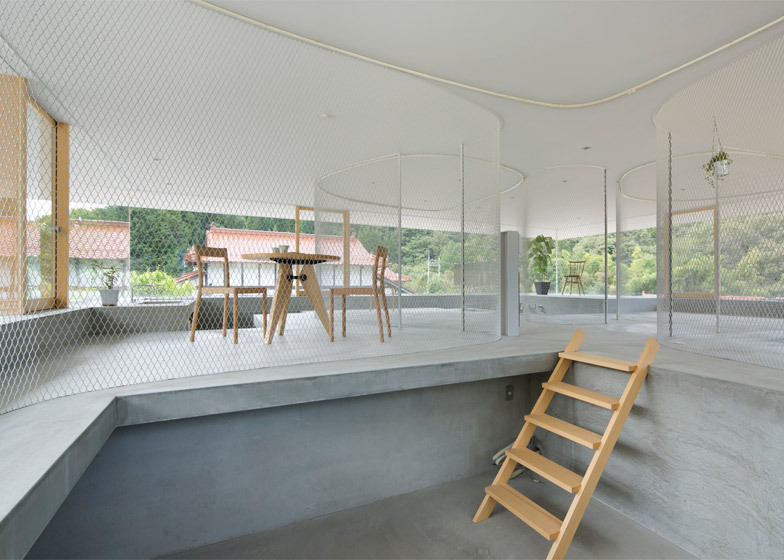 Japanese studio Suppose Design Office – whose previous designs include a house with walls that don't meet the floor and a residence with a tent on one side – was tasked with creating a home that would allow its occupants to be as close to nature as possible. 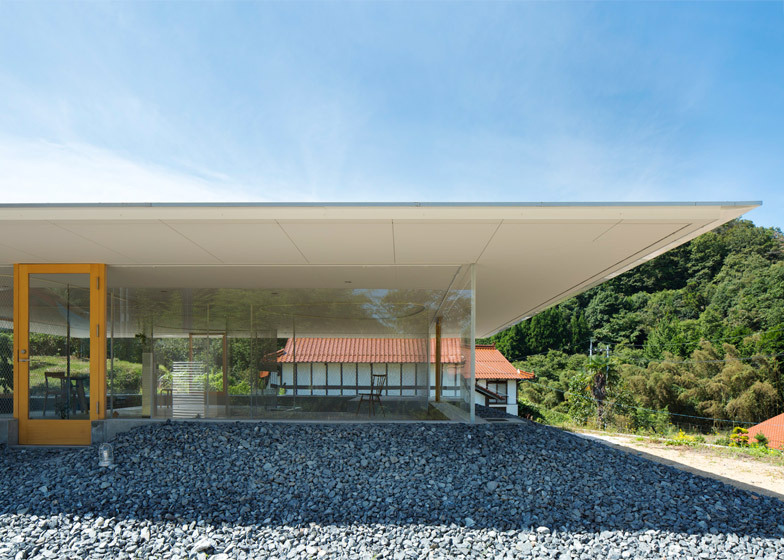 Named Hiroshima Hut, the split-level dwelling has both a transparent exterior and see-through internal walls, meaning it is possible to look right through the building to the trees beyond. 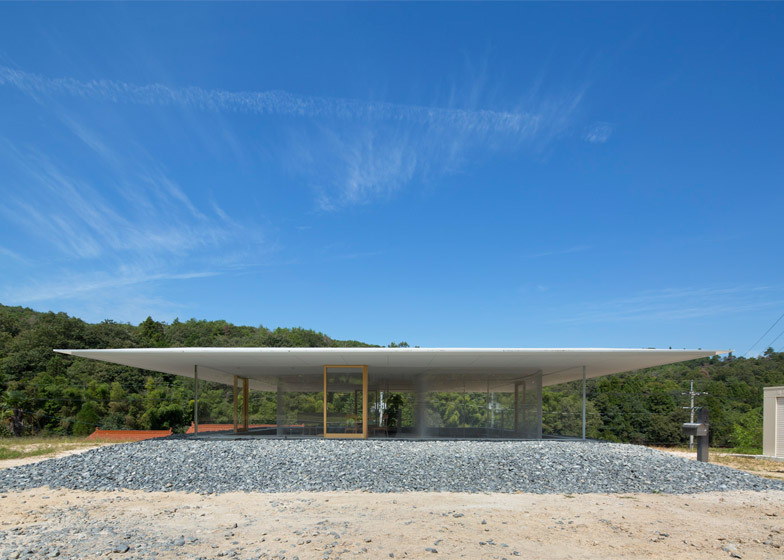 "One of the issues that emerged during the design process of this building was how to insert it in a peaceful rural landscape and how it interacts with the animals living in such a context," explained the architects in a statement. 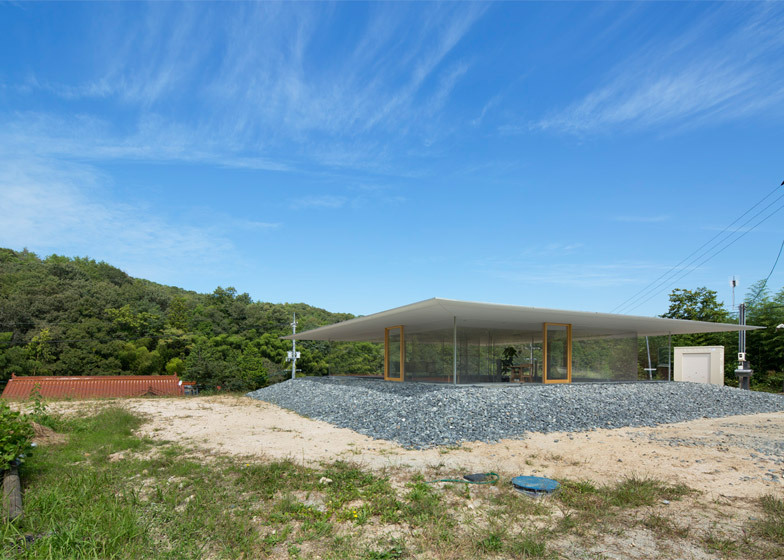 "The concept of this project is to suspend a thin cover on a natural hill, equip it with furniture and in this way create a place where people and animals can meet under its shade." 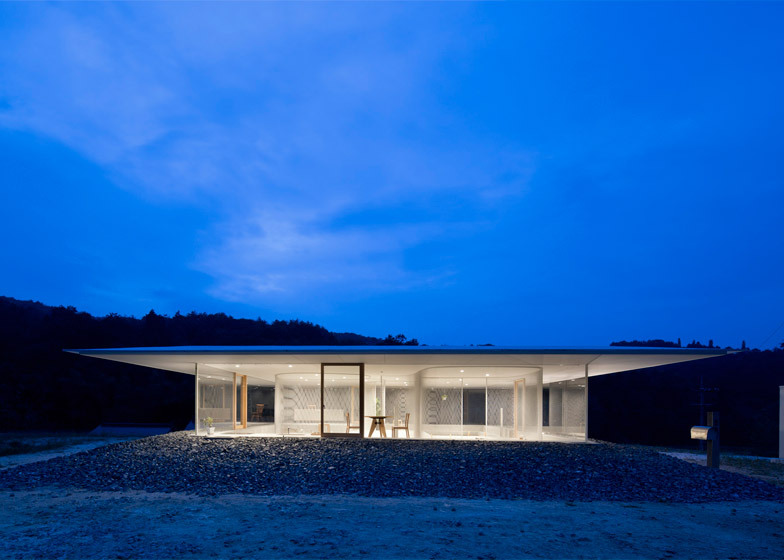 The 80-square-metre house is gently raised up on a gravel hill. This allowed the architects to give residents some privacy – by sinking some of the rooms underground. 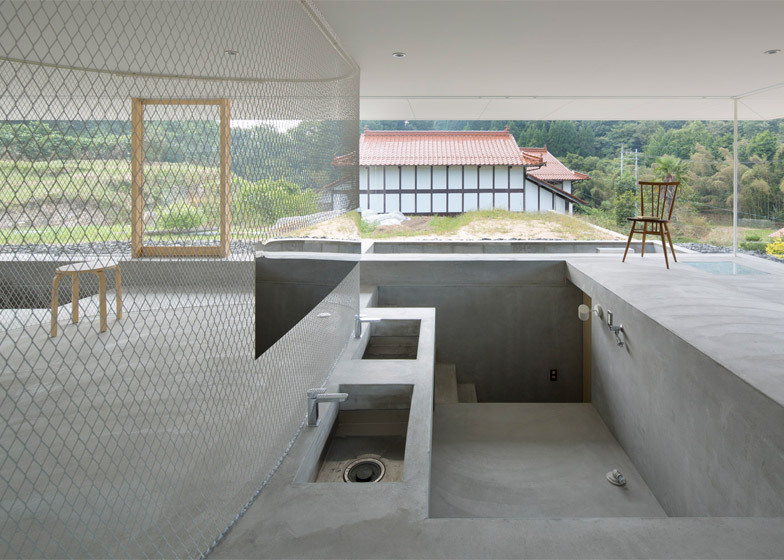 The bathroom is completely boxed in below, but the other sunken spaces are never more than a metre below the main floor level. This meant there was no requirement for handrails. One of these partially submerged rooms is the kitchen. Here, the main floor level becomes a countertop with a sink and cooker. 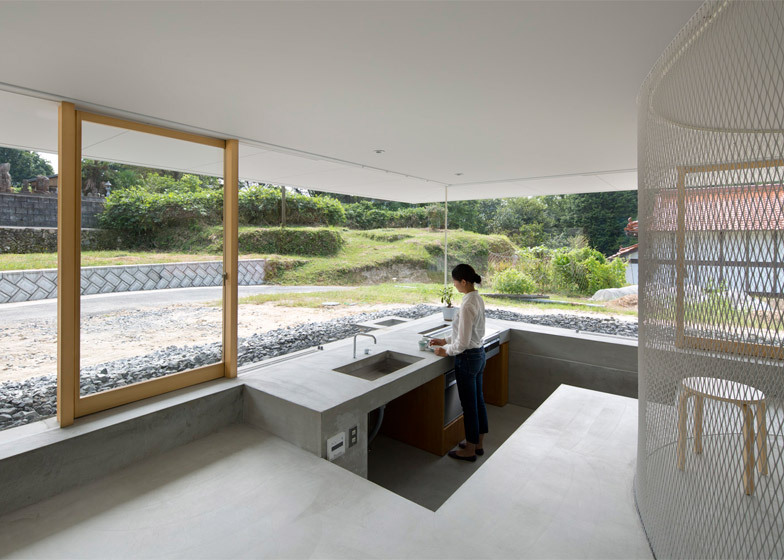 According to the architects, it is "possible for a deer to stare at the residents preparing meals". 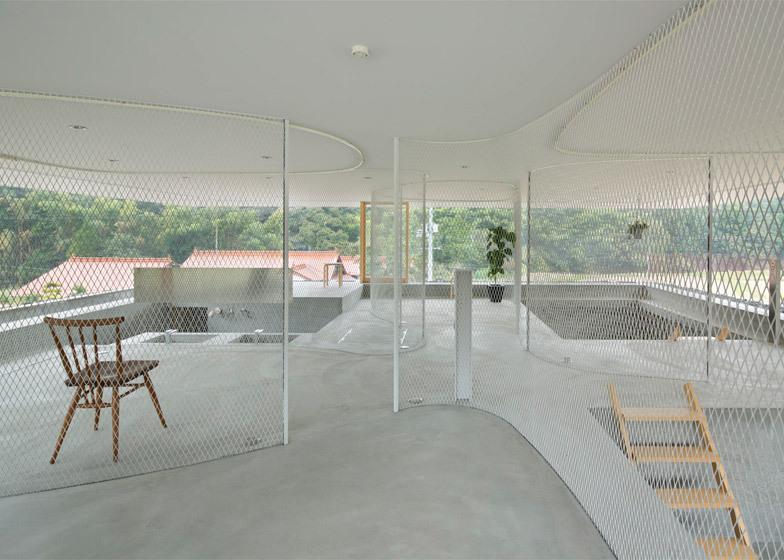 The main floor is divided up by curving partitions made from metal mesh. "These see-through partitions become guidelines for the furniture layout, and induce the residents to align things on it keeping the building tidy," said the team. The large roof is the most prominently opaque element in the design. It has tapered edges, creating the impression it is paper thin. The eaves overhang the facade by several metres – a distance that matches the height of the walls. This creates a generous shelter around the entire perimeter, also intended to entice animals. The transparent walls are made from acrylic rather than glass, which was chosen for its high thermal insulation properties. Wooden frames indicate the locations of doors, matching the wooden ladders and furniture inside the building. "So far, the architectural essential elements have always been discrete, but nowadays as technology progresses the distinction between a wall, a window and a pillar becomes more vague, permitting architecture to become limitless," added the architects. 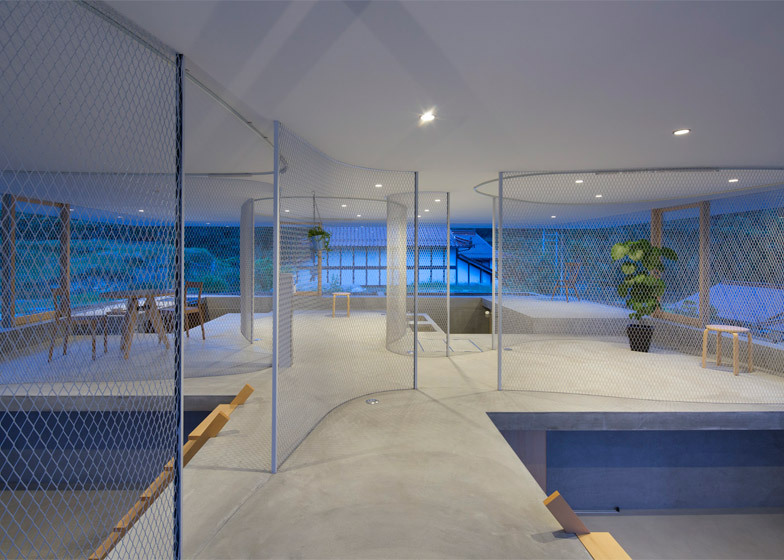 Despite its sparse appearance, the house also features plenty of storage space, all tucked away beneath the floor.